The APGFCU Arena provides up to 18,600 sq. ft. of floor space, 2,500 seats with flexible space configurations, and state-of-the-art technology. For more information or to book your next tournament, contact General Manager Stacy Rutherford at 443-412-2570 or srutherford@harford.edu. Ad paid for through funding from the Harford County Office of Community and Economic Development. 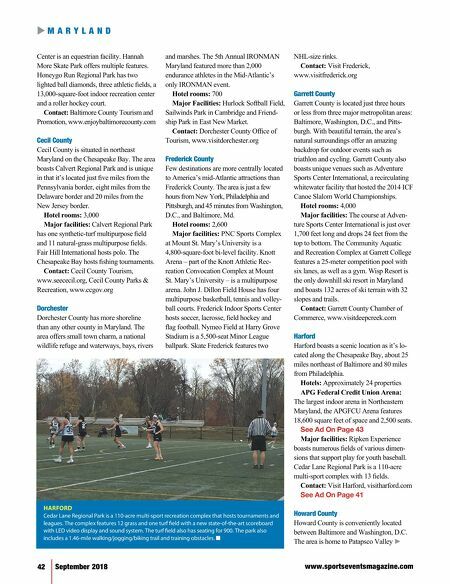 THE LARGEST INDOOR VENUE IN NORTHEASTERN MARYLAND WE PUT YOU IN THE SPOTLIGHT. 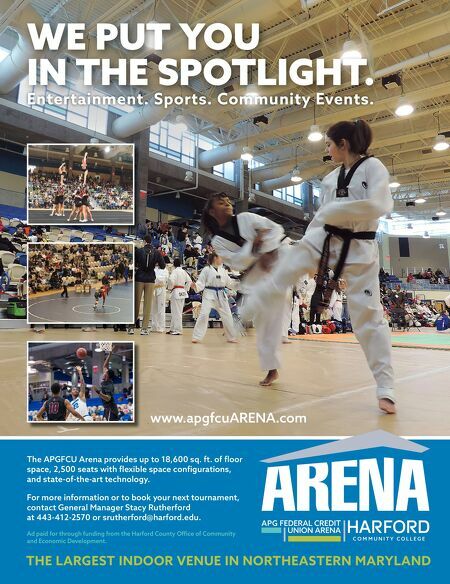 www.apgfcuARENA.com Entertainment. Sports. Community Events.